The topics discussed clearly do not include all the reasons for our opposition to the building of a dam on the Trout Lake River, at Big Falls, as the proponent Horizon lnc. would like. Although these are not scholarly papers, they do articulate many of our reasons to protect our traditional waterways and values as caretakers of our traditional territory. I am from Namekosipiink, Trout Lake, Ontario, and am a descendant of signatories to Treaty #3. My ancestors, along with the Lac Seul and Sturgeon people, signed the adhesion to the treaty in June 1874. The NamekosipiiwAnishinaape community is the most northerly community of Treaty #3. When the surveyors came to mark out the reservation boundaries, it late in the fall and decided not to go any further north than Lac Seul. They never came back and thus we never did get a reserve. However, we are still a community, even thought we are dispersed all across this great Turtle Island. Neither the Ministry of Natural Resources nor the Horizon company consulted with us in any meaningful way. They said that we did not fit the legal definition of a community as defined by the Indian Act. We have opposed the building of the dam because we still use the same migration route that our ancestors used for hundreds and hundreds of years. The river is a place of traditional education and camping and recreation. The Falls themselves are of huge cultural significance to us. The land around is sacred to us, we have ceremonies there. We have made an Order II request to the Ministry of the Environment and we have not yet received a response from them. While we await their response, we are continuing work with a petition in opposition to the dam and we invite you to learn more about our situation. This is Big Falls – a beautiful stretch of rapids and falls located on Trout Lake River. This is a sacred place that holds many precious memories for the NamekosipiiwAnishinaapek First Nation community. They have had no say in whether this site will be destroyed and replaced with a hydroelectric dam – at least if Horizon Hydro Operations has their way. Horizon is proposing a 3 to 4 MW run-of-river hydroelectric dam, with an 18.8 metre head, and 1.7 km headpond that will encompass 15.5 hectares. This would feed hydro to approximately 1500 people – on a good day. The Experimental Lakes Area has studied the impact of newly inundated headponds and discovered that methylmercury can increase by 10 to 20 times. Mercury can become elevated in fish tissue, and result in fish consumption restrictions. 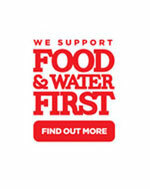 That is not good for First Nations when fish is a main staple in their diets. Does this sound like “Green Energy”? If you agree that Big Falls should not be developed, then please write the Honourable Kathleen Wynne to let her know this is a bad idea – premier@ontario.ca. After having carefully reviewed the information as presented, and in consideration of the lack of due diligence to properly consult with and resolve the issues of the Trout Lake Community, as well as the potential health and safety risks to First Nation communities, ORA is requesting a Part II Order be issued to elevate this proposal to an Individual Environmental Assessment. 1. 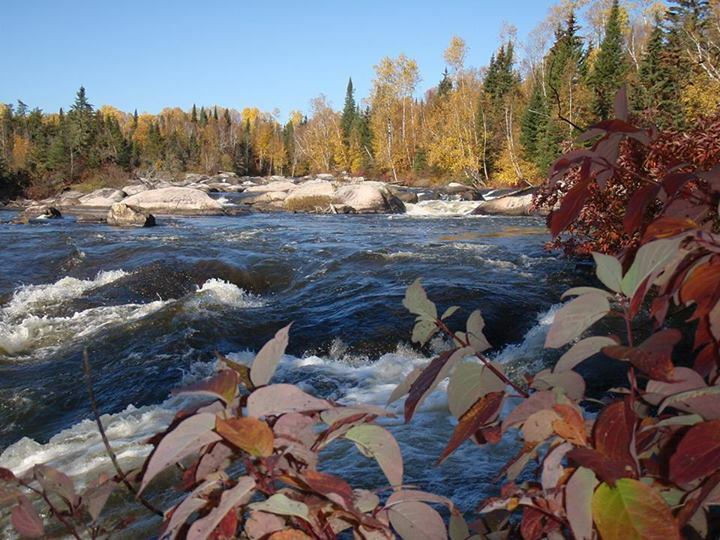 MNR conducted an initial survey (actually, Hatch did it) of the rivers in Ontario that may have areas where water power could be harnessed and developed. Question: What gave MNR that right when they did no consultation with FN’s of this survey? What gave them the right to put up for auction these sites, three of which are on the Trout Lake River? That is not acceptable and MNR has to be held accountable for deviating from normal FN consultation protocol, even if it was before any such “agreements” were made. 2. The view of our cultural heritage is very narrow, keeping it to physical artifacts such as pottery sherds and arrowheads. This is unacceptable. The stories of our ancestors are all along the river, at each falls and rapids, each lake and bend in the river, every camp site. 3. The name of the project is an appropriation of the name of our home place. It is no more a Trout Lake Hydro project than Niagara Falls is. When will revenue info be available? We are at a disadvantage if we do not have that information. 5. The woman’s role and responsibility as water-keepers is a moral and ethical authority that has to be recognized and acknowledged by white people in general, by the state in particular, especially Ontario. 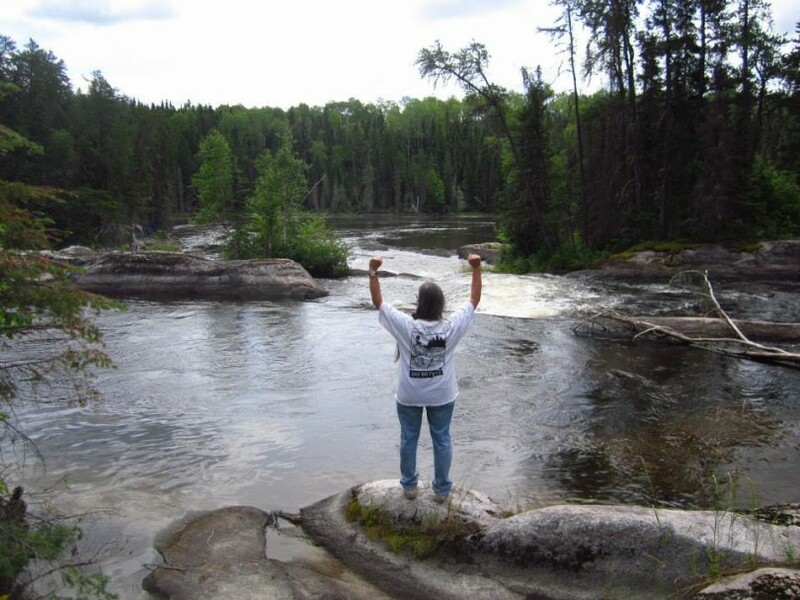 As keepers of the water, Anishinaape women are stepping up and advocating for the water. This is huge and important responsibility. 6. The Trout Lake Anishinaape people are continually being told that it is the legal authority of the land that is relevant. We hold that moral responsibilities, as identified in the United Nations Declaration of the Rights of Indigenous Peoples, hold just as much, if not more, authority in all human story. 7. The trees around the river have already been cut down and taken away. Why can’t they leave the water alone? 8. The personal reasons are varied and many, posts will appear as this work progresses. ORA commented on the Environmental Report – comments here. The proposed site at Big Falls on Trout Lake River in the Unorganized Township of Gerry – about 31 km north of Ear Falls. Plans are underway for the construction of a new hydroelectric project between Ear Falls and Trout Lake that will generate three to four megawatts of power to feed back into the Ontario power grid. A few years back the Ontario government identified Big Falls on Trout Lake River as suitable for this type of small scale hydro project based on several criteria including the amount of water in the river and the height of the drop at the falls. The MNR then put a call out for competitive bids from potential developers. “Proposals are evaluated according to financial capability, technical expertise and feasibility, Aboriginal community participation, response to known environmental issues, and approach to consultation, permitting and approvals planning,” says MNR Regional Communications and Marketing Specialist Kathryn Lyzun. Toronto’s Horizon Hydro Operations Ltd. won the bid in 2007 and got the ball rolling in the fall of that year. Trout Lake River Hydroelectric Proposal – ORA Comments on Draft Environmental Report, Horizon Hydro Projects Ltd.